He said the UK would need a transition period to adapt to whatever form of departure from the EU Parliament chose. He also denied that the Bank’s warning no-deal could lead to a UK recession was intended to scare people into backing his favoured form of Brexit. Mr Carney told the BBC that “we know from our contacts with business, others know from their contacts, that less than half the businesses in the country have initiated their contingency plans for a no-deal Brexit”. “All the industries, all the infrastructure of the country, are they all ready at this point in time? 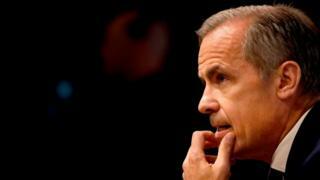 And, as best as we can tell, the answer is no,” Mr Carney said. MPs warned on Wednesday that there was a “real prospect” of “major disruption” at UK ports in the case of a no-deal Brexit, with government plans “worryingly under-developed”. However, the Department for Transport said the Public Accounts Committee’s conclusions “were not accurate”. “Our deal is the best deal available for jobs and our economy, that allows us to honour the referendum and realise the opportunities of Brexit,” Mrs May said at Prime Minister’s Questions. The Bank of England, meanwhile, said on Wednesday that the UK economy could shrink by 8% in the immediate aftermath if there was no transition period, house prices could fall by almost a third, and that the pound could fall by a quarter. Conservative MP and Brexiter Jacob Rees-Mogg accused Mark Carney of talking down the pound on Wednesday, saying the Bank of England’s warnings tonight “lack all credibility”. Mr Rees-Mogg said “project fear” had become “project hysteria”. She’s Worth How Much??? Find Out NeNe Leakes’ Shocking Net Worth!